Ready, aim, FIRE! 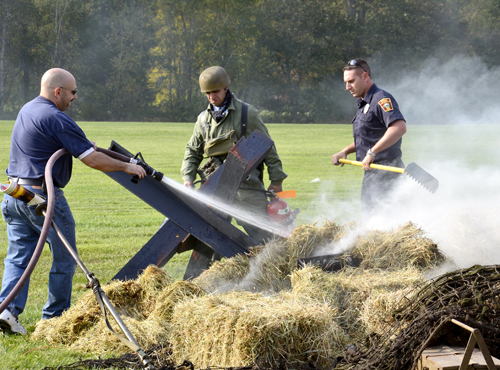 During an afternoon battle reenactment at the Collings Foundation’s Battle for the Airfield last Saturday, the Stow Fire Department was called in to join the war effort. The fire in the hay bales of the German’s “fuel dump” area was not part of the act. As war waged on around them, the firefighters put out the fire and the day’s events continued successfully. AIM Triteam’s Reach the Beach team, AIM for the Finish. 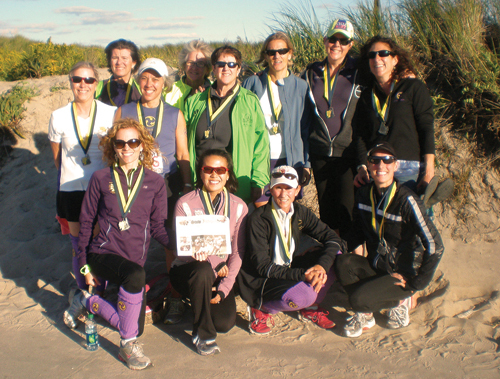 It’s a 200 mile relay race from Cannon Mountain to Hampton Beach. From left to right, front row: Theresa O’Riorden, Stephanie Horton, Liz Schoepke, and Kendra McDowell. Middle row: Monica Mehigan, Barbara Epstein, and Anne Dickinson. Back row: Patty Sullivan, Vickery Trinkaus-Randall, Jeanne Mahon, Mary McDowell, and Stephanie Shenton. 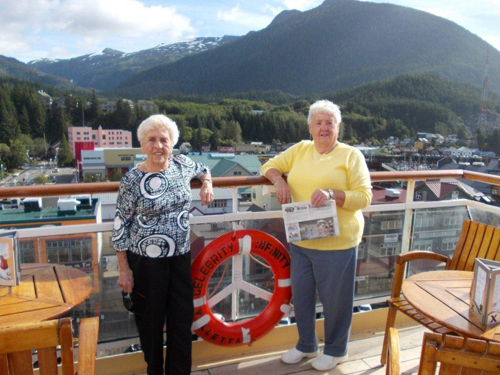 Marion Christiansen and her sister Mildred O’Boyle on the Celebrity Cruise Line in Alaska over Labor Day. 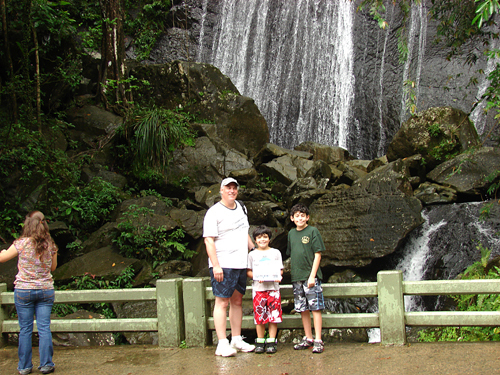 The Acosta family brought the Stow Independent with them to the El Yunque Rainforest in Puerto Rico. Pictured are Keith, Javier and Jose Acosta.